The Autobiography of a Yogi is a famous book authored written by Sri Paramhansa Ji (1983-1952). He was a great saint who was born in the city of Gorakhpur in Uttar Pradesh. He developed an interest in spirituality from a very young age and was always on the lookout for a Guru who could guide him into spirituality. Bengali by birth his actual name was Mukunda Lal Ghosh. Fond of reading he read a lot of books that were written by the Bengali spiritual leaders. His quest for a guru lead him to Swami Yukteshwar Giri in his youth. This was in the year 1910 when he was just a seventeen year old lad. The bond between the guru and the disciple grew to be very strong. After days of spiritual lessons and when Swami Yukteshwar Giri was convinced with the ability of Yogananda he informed him that he had been sent by Mahavatar Babaji to him for a special purpose. 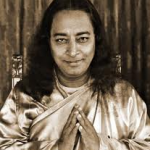 He told Yogananda that he was sent to guide the world and be a Guru. It was Swami Yukteshwar Giri who gave the name of Yogananda to Mukunda Lal Ghosh. In spite of getting a good spiritual knowledge Mukunda Lal Ghosh continued his quest for knowledge and completed his education. He did his bachelors of arts from Serampore College, Calcutta University. He was always a good student. In 1917 Yogananda started a school for boys in Dihika soon after his spiritual training was complete. The school had a curriculum that combined studies with spiritual courses and Yoga. Mukunda Lal Ghosh believed that for the complete understanding of knowledge and education all these needed to be combined. After few years the school was shifted to Ranchi. It was years later that this school became the Yogananda Satsanga society in India. This is today a major branch of Yogananda’s American organisation that was to be started later. In the year 1920 Yogananda started his journey to America. He was representing India in Boston. He was sent to participate in the International congress of religious liberals that was being held in Boston. His lecture became very popular. The western world was highly impressed by what he spoke of India. This changed the way the world looked at India for ever. He became so popular that he started the organisation called SRF that is also known as Self Realization Fellowship. The main purpose of this body was to make the world aware of the yoga practices in India and the philosophy of meditation. Yogananda and his teachings became so popular that for the next few years he kept teaching his beliefs on the Eastern coast of America. He also went for cross continental tours and thousands of devotees would come to attend his lectures. He also attracted some famous celebrities and as a result more and more followers started to join him. Another branch of Self realization fellowship was later started in Los Angeles. He was the first spiritual leader ever from India who stayed in the United States for almost three decades from 1920 – 1952. He is also given credit for creating awareness about Yoga in the United States. His popularity was unbelievable. During his stay he also visited many international spiritual leaders. He visit India in 1935 and stayed for a year. It was during this visit that the title of Paramhansa was bestowed upon him. He also visited his guru Swami Yukteshwar Giri. His autobiography mentions that during his this visit he also met Mahatma Gandhi and other prominent leaders of that time. After spending a year in India and promoting his Yogananda Satsanga society in India. He again returned to America. He continued to spread his knowledge. He later started hinting that it was time for him to leave the world. On March 1952 when he was giving a speech on Indian and American ties at the Biltmore Hotel in Los Angeles after he had read few lines from his poem ‘My India’ his body fell on to the floor. Many of the spectators said that he took to ‘Maha Samadhi’. His funeral was a grand affair and many prominent leaders participated in it. The funeral was held at the headquarters of self realization fellowship in Los Angeles. Many tombs and structures were constructed to commemorate the contributions of Yogananda all across the United States. Sri Paramhansa Ji as he is better known wrote many books in his lifetimes. Some of those are still read by his followers. He was the one who pioneered the concept of Kriya yoga that we will be discussing in a separate article.